Do you need to collect a "real" signature from your contacts and store it on their contact record? 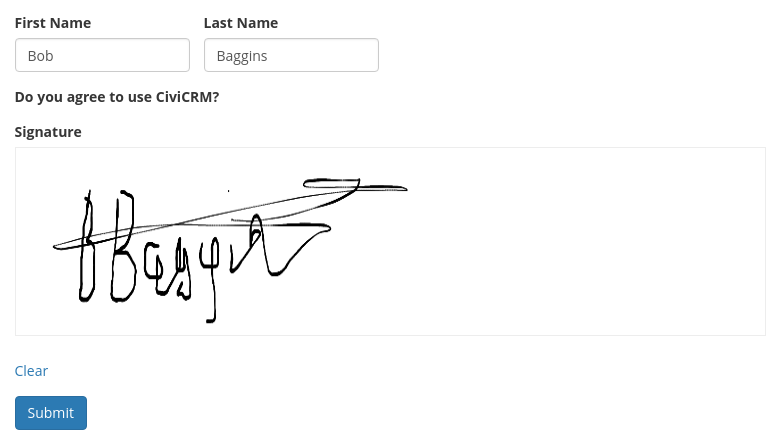 If you use Drupal Webform you can embed an electronic signature directly using the new webform_civicrm_esign module developed by MJW Consulting and Northbridge Digital. I'm please to announce the release of a new Smart Debit extension for CiviCRM 4.7. The new extension is based on the vedaconsulting (https://vedaconsulting.co.uk) extensions for previous releases of CiviCRM but is rewritten and includes a number of new features and enhancements. Development and Testing has been funded by Circle Interactive (https://circle-interactive.co.uk) and implemented by MJW Consulting (https://www.mjwconsult.co.uk). or not auto-renew. However, this was not used for the self-signup contribution pages. Well, from 4.7.19 it is respected and you can easily create membership contribution pages which force auto-renew. (See CRM-20375).